주문하시고 약 10일 이내 받으실 수 있습니다. 텔레뷰사에서 2007년말 시장 출시한 화각 100도, 13mm 1.25" & 2" 겸용 최고급 아이피스. 국내에는 전문 동호인들 제품 Review 가 완료된 제품입니다. 그동안 명품 아이피스를 가격때문에 구입을 망설인 분 들에게 좋은 구입 기회를 제공 합니다. 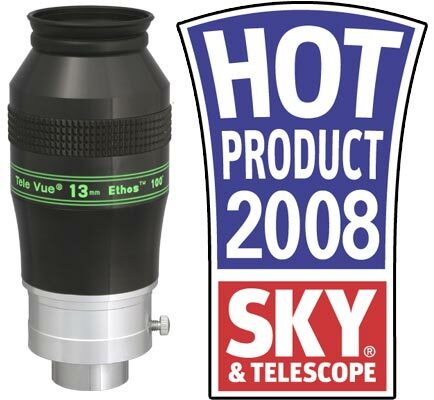 Televue - Tele Vue 13mm Ethos Eyepiece - 2"/1.25"
New Televue 13mm Ethos eyepiece. 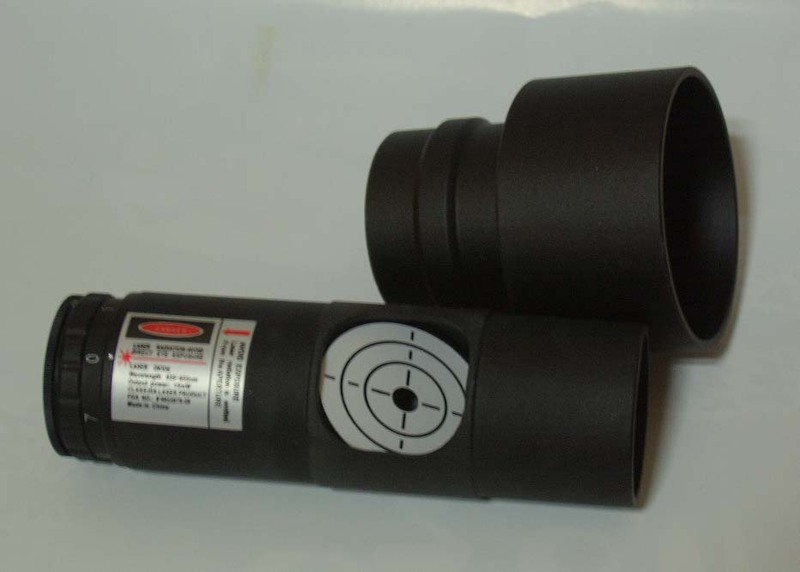 Yes, it's true....an eyepiece with a 100º field of view...more than 50% larger than a Nagler 82º field! Maximum contrast has been achieved in the Televue 13mm Ethos by the use of flat finished baffles and specialty coatings that are tuned to the composition of each element. Televue is calling the 13mm Ethos eyepiece a blend of several eyepiece designs, yielding the true field size of eyepieces with longer focal lengths and narrower fields with those that produce a darker sky background and higher magnifications. 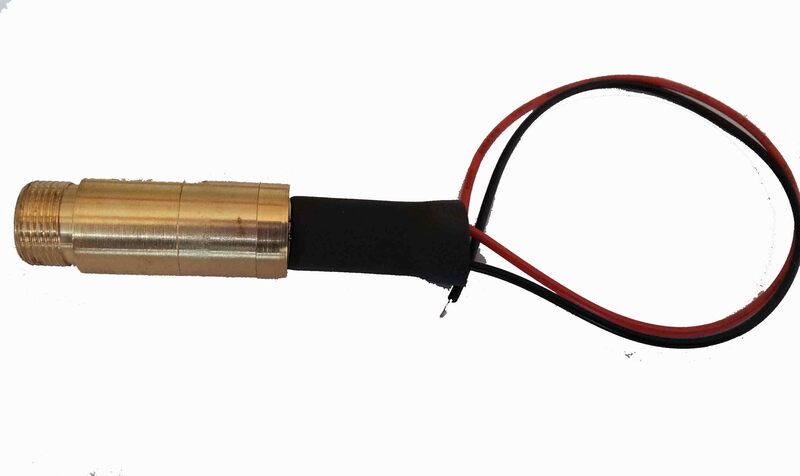 Following Tele Vue’s philosophy of pushing the state of the art, long-time Televue employee and optical design prot&eacute;g&eacute; Paul Dellechiaie took up the challenge and designed the basic eyepiece form. Under Al’s guidance, Paul tweaked his design to fulfill the original goals. Real night-sky viewing was done two nights at the dark Prude Ranch location of the Texas Star Party using telescopes ranging from our NP127is to the prize winning 12” f/5.5 Newtonian of our own Scott Ewart. Ethos also made its way into various large Dobsonians including those of Barbara Wilson and Larry Mitchell. At the Riverside Telescope Makers Convention in California, we had two clear, though very bright moonlit nights for evaluation. 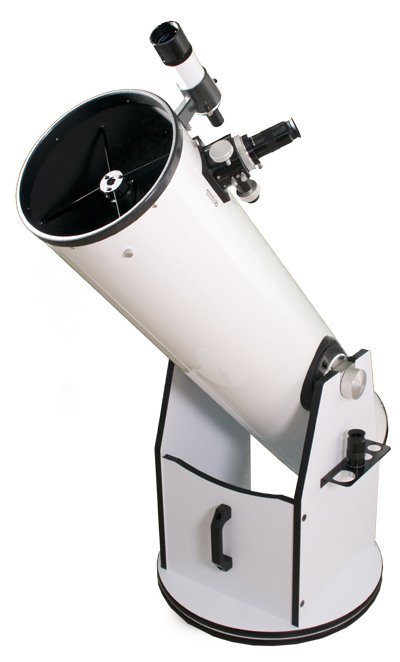 Using an NP101 and NP127is Ethos treated us to clusters such as M44 and M24. At EPOCH 2007 in western Indiana, we were pleased to have one very clear evening to demonstrate Ethos with our NP127is and Chris Brownewell's 25" Obsession. Good Luck, Chris, on this new star party venture, and a big Thanx for being a great host. On a personal note, I was especially moved by just showing a random star field to a little 10-year-old girl in a group visiting RTMC from Anaheim. Her only words: “Oh my god, it’s beautiful.” It doesn’t get any better than that. 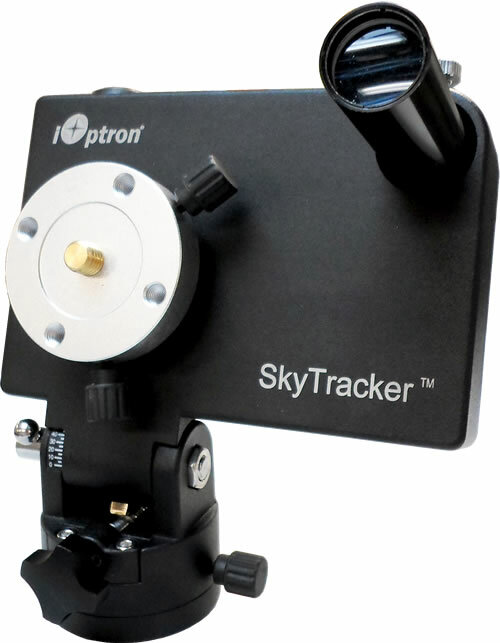 On October 13, 2007, I had the pleasure to view some objects with the 13mm TeleVue Ethos, through an 18 Obsession owned by a man named John at CALSTAR 2007. First, I want to thank him again. Second, the eyepiece amazing!!! Views of the Pegasus I galaxy cluster were wonderful. M42 was vivid and it seemed like I was going to fall into the eyepiece. As a hard working law school student, I long for the day when I can afford one of these amazing eyepieces. Al Nagler, thank you too!